VP Debate – Biden Won! Joe Biden gave us a clinic on how to debate last night. Know your facts: Biden was on top of the data and had real substance to refute the lies of the Romney/Ryan campaign. 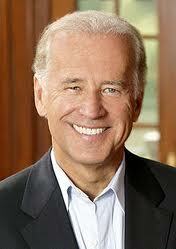 Be passionate: Biden displayed his passion repeatedly for the Middle Class. Amplify your opponents weakness: Biden hit on all the mendacity and weaknesses of the RR ticket, e.g., Romney’s 47% comments, the 20% tax cut that the RR campaign will not detail how they’ll pay for it (unidentified tax loopholes and deductions) and most importantly, Medicare. Ryan’s plan turns Medicare into a voucher program. Yes, Mr. Vice President we trust the President with Medicare. Lastly, throw the occasional curve ball: Biden revealed that Ryan requested stimulus money not once, but twice because he said he needed to create jobs in Wisconsin. Ryan’s a hypocrite. Last night was a win for Biden, Democrats and the country. Of course, Republicans are dervishing about Ryan’s performance, but Biden clearly proved that he is the Vice President and should keep the job. This entry was posted in Election 2012, Politics on October 12, 2012 by speakingthosethings.